What's the difference between a Counsellor and a Psychologist ? A Counsellor has specific training in therapeutic theory and skills as well as clinical experience of face-to-face Counselling. Counsellors typically conduct short and medium term work. A Counselling Psychologist applies psychology to working collaboratively with people across a diverse range of human problems and have had a broad range of psychotherapy training. They will hold a degree in Psychology and a Doctorate in Counselling/Clinical Psychology. Why is it important to check if my therapist is accredited? Seeing an accredited therapist assures you that the therapist is safe, adequately trained and approved by a professional body. Those approved by organisations such as the British Psychological Society and the Health and Care Professionals Council have achieved a substantial level of training and experience that is required by these organisations. The answer to this question is that it depends on your specific situation. Some people start feeling better right away after just a few sessions, for others it takes longer. The number of sessions depends on your goals, your history, and the type of problem. I typically allocate 50 minutes to each session and 60 minutes to an initial assessment. Call me on 07708 476330 or email me through the Contact section on this website. I look forward to hearing from you. What sort of issues do you work with? I have experience of working with many issues. For a full list of the types of problems that I have experience working with please see the attached link: Dr Chris Keithley. Sometimes people have experienced a crisis, other times they want to deal with things that have been making them unhappy for a while, other times they just feel that life could be better. Perhaps you only know that you feel awful. My job is to help you identify what’s going on and work towards change. If I feel that I do not have the competence to work with a particular issue, I will say so and do my best to refer you to someone who can. How accessible are your therapy rooms? Accessing my therapy room in both locations requires navigating a flight of stairs. If this means my practice is inaccessible to you, please contact me and we can make different arrangements. If you have other access requirements, please also get in touch. There is adequate parking available in Sacriston at the side of the building. I recommend either the Prince Bishop or Walkergate Car Parks in central Durham. At the first session we will make a plan for what to do if you miss a session, or are likely to be away. Individual therapy is usually undertaken alone but you are welcome to bring someone as there are waiting rooms at both locations. I don’t discuss your private life with other people, and I take your privacy very seriously. In supervision, I talk about the clinical issues that come up, so that I can work effectively, but I do not share your personal details. There are some legal limits to the confidentiality that I can assure but we will talk about this in the initial session and you can decide for yourself how you want to proceed. Do you keep notes? What happens to my private information? I keep contact information separately from session notes. I keep session notes to keep track of the work we are doing. They are stored in encrypted and password-protected files on a computer. 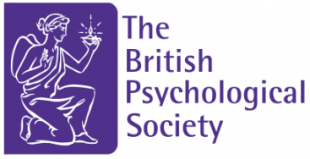 I am compliant with the British Psychological Society’s recommendations on record keeping and take data protection seriously. You are entitled to view any information I have stored on you. After seven years I delete and destroy your files securely, unless you specifically request this in advance. What if I know you in real life? It is not ethical for us to work together if we know each other very well. I understand that some of the groups of people I work with have fairly small social circles, and it is possible that we might know of each other. If this is the case, get in touch and we can decide what to do and if it would be ok to work together. What if I see you in real life? I don’t socialise with clients. We can make a plan together at the beginning of therapy to work out what we will do if we see each other outside therapy, for example if we bump into each other at the same event. Do you work in languages aside from English? No, though it may be possible to work with an interpreter.